I actually can't believe I haven't covered this cult product on Cocoa May before! 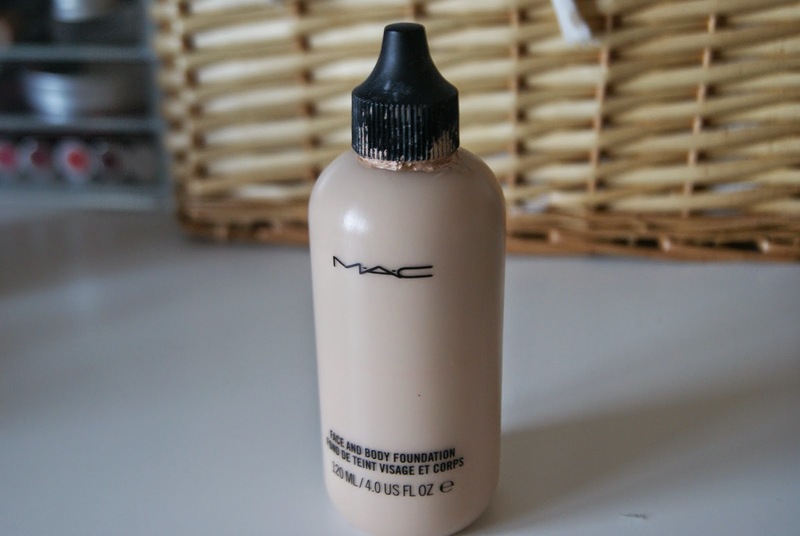 The MAC Face & Body Foundation is well known for being the 'do it all base', with makeup artists favouring it for fashion shows and red carpet appearances. The formula of F&B is very watery, and I tend to use the Real Techniques Buffing Brush, as it really works the product in, as opposed to a traditional foundation brush. The formula is very buildable - I can use it in the day for a light base and in for a soft evening look. It's no Illamasqua Skin Base or L'Oreal True Match in terms of coverage, but I love it for an all over skin-evening base. I bought this a good couple of years ago (yes, I should probably get a new one! ), but the massive 120ml bottle is lasting me ages. Although I think MAC may have bumped the price up of these ones, as I'm sure I got this for around £25 back in the day. Another great use for this foundation is that you can also use in on your body. It provides a light coverage on the body, and is especially good for legs, as it makes them look super smooth and covers veins etc. Mixed in with a bit of liquid highlighter - you've got yourself a winner! I was colour matched to a C1, so unfortunately I can't wear it when I'm all fake tanned, however, I mostly use this as a daytime foundation that certainly doesn't feel heavy on the skin. If you're on the lookout for a light base, or a little extra thing to add to your Christmas list, this is a great pick!